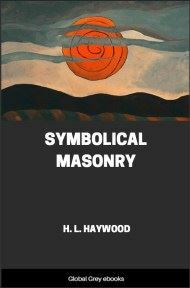 This essay, published in 1820, was an attempt to prove that modern Freemasonry derived from ancient Greek philosophical and religious ideas. Hippolyto da Costa (1774-1823), was a Brazilian journalist, author, Freemason and world traveller. 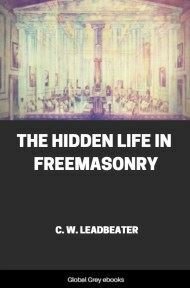 He was imprisoned for being a Freemason by the Inquisition in Portugal in 1802; he escaped in 1805. 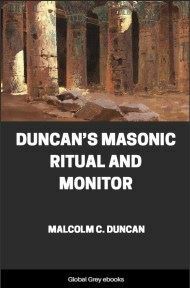 THE mysteries of the ancients, and the associations in which their doctrines were taught, have hardly been considered in modern times, but with a view to decry and ridicule them. The systems of ancient mythology have been treated as monstrous absurdities, debasing the human reason, conducting to idolatry, and favouring depravity of manners. 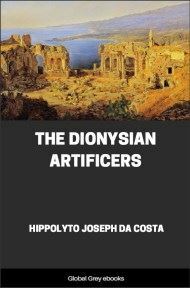 However, they deserve attention, if the motives of their inventors, rather than the profligacy and ignorance of their corruptors be contemplated. When men were deprived of the light of revelation, those who formed systems of morality to guide their fellow creatures, according to the dictates of improved reason, deserved the thanks of mankind, however deficient those systems might be, or time may have altered them; respect, not derision, ought to attend the efforts of those good men; though their labours might have proved unavailing. In this point of view must be considered an association, traced to the most remote antiquity, and preserved through numberless viscissitudes, yet retaining the original marks of its foundation, scope, and tenets. It appears, that, at a very early period, some contemplative men were desirous of deducting from the observation of nature, moral rules for the conduct of mankind. Astronomy was the science selected for this purpose; architecture was afterwards called in aid of this system; and its followers formed a society or sect, which will be the object of this enquiry. 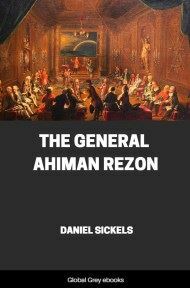 The continuity of this system will be found sometimes broken, a natural effect of conflicting theories, of the alteration of manners, and of change of circumstances, but it will make its appearances at different periods, and the same truth will be seen constantly. The importance of calculating with precision the seasons of the year, to regulate agricultural pursuits, navigation, and other necessary avocations in life, must have made the science of astronomy an object of great care, in the government of all civilized nations; and the prediction of eclipses, and other phenomena, must have obtained for the learned in this science, such respect and veneration from the ignorant multitude, as to render it extremely useful to legislators, in framing laws for regulating the moral conduct of their people. 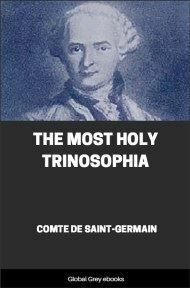 The laws of nature and the moral rules deducted from them were explained in allegorical histories, which we call fables, and those allegorical histories were impressed in the memory by symbolical ceremonies denominated mysteries, and which, though afterwards misunderstood and misapplied, contain systems of the most profound, the most sublime, and the most useful theory of philosophy. Amongst those mysteries are peculiary remarkable the Eleusinian. Dionysius, Bacchus, Orisis, Adonis, Thamuz, Apollo, etc., were names adopted in various languages, and in several countries, to designate the Divinity, who was the object of those ceremonies, and it is generally admitted that the sun was meant by these several denominations. Let us begin with a fact, not disputed, that in these ceremonies, a death and resurrection was represented, and that the interval between death and resurrection was sometimes three days, sometimes fifteen days. Now, by the concurrent testimony of all ancient authors the deities called Osiris, Adonis, Bacchus, &c. were names given to, or types, representing the sun, considered in different situations, and contemplated under various points of view. Therefore, these symbolic representations, which described the sun as dead, that is to say, hidden for three days under the horizon, must have originated in a climate, where the sun, when in the lower hemisphere, is, at a certain season of the year, concealed for three days from the view of the inhabitants. Such climate is, in fact, to be found as far north as latitude 66°, and it is reasonable to conclude, that, from a people living near the polar circle, the worship of the sun, with such ceremonies, must have originated; and some have supposed that this people were the Atlantides. The worship of the sun is generally traced to Mitraic rites, and those invented by the Magi of Persia. But if the sun could be made an object of veneration, if the preservation of fire could be thought deserving of religious ceremonies, it is more natural that it should be with a people living in a frozen clime, to whom the sun is the greatest comfort, whose absence under the horizon for three days is a deplorable event, and whose appearance above the horizon a real source of joy. Not so in Persia, where the sun is never hidden for three days together under the horizon, and where its piercing rays are so far from being a source of pleasure, that to be screened from them, to enjoy cool shades, is one of those comforts, to obtain which all the ingenuity of art is exerted. The worship, therefore, of the sun, and the keeping sacred fires, must have been a foreign introduction into Persia. The conjecture is strengthened by some important facts, which, referring to astronomical, allusions, place the scene out of Persia, though the theory is found there.